Some time ago I wrote a post about what to do when you get asked for a discount. Few people handle this request well – most simply say yes, for fear of losing the job altogether if they say no. Some might try to negotiate, but end up discounting to some level. Few will ever say no, and their reasons for it, despite the fact discounting the job to the level expected might mean they’re not going to make any profit. So what if you could reduce your chances of getting asked the question altogether? In my view, there are two ways to do this – the ‘quick fix’ and the ‘longer term fix’. Those of you who have read some of my previous posts will know that I talk a lot about the importance of handing over control to the other person in any situation where you are trying to ‘sell’. If the other person is more in control of the sales process, they are more likely to buy. This is because people love to buy, but they hate to be sold to. This goes for your sales documents, too – when you issue these to buyers, you want them to feel like they are in control as much as possible – beyond just saying yes or no to your proposal. And one of the best ways to give people control is to give them options to choose from, rather than limiting their choice to only the idea or solution that you think is best. 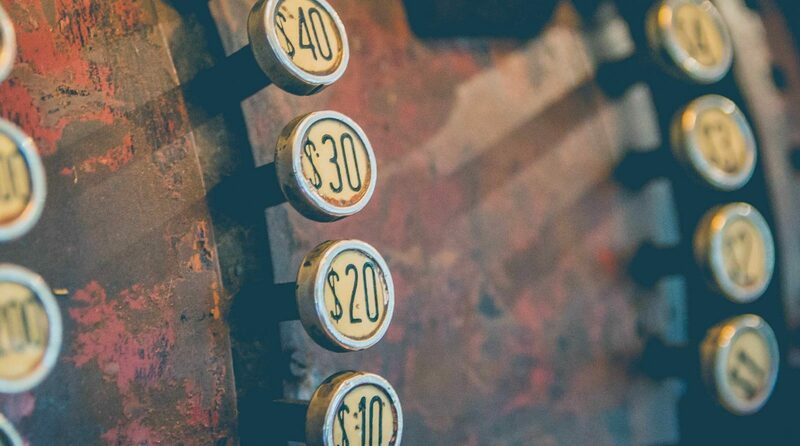 So why do so many B2B and professional services consultants only offer one pricing option? 2. Set a lower option – but you have to take some things out so the buyer knows they are getting less. This can be as simple as telephone rather than in-person meetings, or maybe a more junior person doing the work with only a final check by a senior person. It’s important that you make it clear that they will get something less if they choose this option. 3. Set your highest option – add some extras on to the mid-range option. It could be extra service, or extra scope if you think that will give the client a better outcome. Whatever you choose, these need to be items that the buyer would truly consider additional value. By presenting them with options, you are immediately reducing the changes of being asked for a discount, as you have already provided them with two ‘discounted’ options below the ‘rolls royce’. While this is an effective method, and I would encourage you to present options to buyers whenever you can, this is still what I call a ‘short term fix’. For the longer term fix, you need to take a step back and look at the relationship. To reduce your chances of getting asked for a discount, you simply have to have established a true partner relationship with the buyer. In a partner relationship, you being in a successful business is just as important to your client, as them being successful in business is to you. Partners simply don’t ask partners for discounts – the conversation is very different. It’s focused on coming up with a solution together about how you can deliver something for less – these solutions may include a reduced scope, or a delayed payment program, or less reporting. When I first talk to people about partner relationships, I ask them if they think they have any. Most people generally put their hand up to say they do. Asking ‘has the client ever asked you for a discount?’ is a great way for me to discover if this is true or not. Because if they say yes, I usually don’t have to dig too deep to discover that it’s not a partner relationship after all. If you want to learn more about building trusted partner relationships, join me for my six-week online course The Client Magnet, which is kicking off next Tuesday, or check out some of my free training videos here. What to do when you’re asked for a capability statement.